All set to buy your first dream home? In this article I have detailed the steps involved in buying an apartment in Bangalore with other useful information before and after moving into an apartment. This article is based on my real experience as well as information collected from my friends and relatives. Feel free to drop your comments and suggestions to improve the quality of the content. First and important step in owning your dream home! Do proper research, visit as many projects as you can, discuss with friends. Finalize one which comes under your budget. Make sure you buy your property from a reputed builder, even if it is more expensive. Once you have decided your property, go and book it. You will have to pay 1L to 2L as booking amount, depends on the builder. If you need more time to finalize the property or the flat, give a post dated cheque. Note that builders charge 10-20% of booking amount if you withdraw your booking. You need to enter in to agreement within 15-30 days of booking. 15% of the total amount needs to be given before making the agreement. Make sure you go through all the pages of the sale agreement as this is the final legal agreement between you and the builder. Also note the super built up area, built up area and undivided share of land(UDS). Normally in Bangalore, the total amount is calculated on the super built up area, not on built-up area. 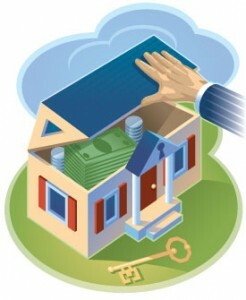 You may apply for a housing loan once the sale agreement is ready. If you are going for SBI home loan, you need to shell out another 1% of your land cost as Stamp Duty, which can be deducted during the registration. • Application form duly filled in. • Copy of sanctioned plan and sanction letter. • Copy of NA permission/ULC clearence, wherever applicable. • Bank statement for last 6 months. • Employer's offer letter/salary certificate and latest salary slip. • Identity card of applicant/s. • TDS certificate of applicant/s. • PF/ESIS slip of applicant/s. SBI loan account will be directly linked to your savings account and hence you can view the statement online using the same username/password of your savings account via Online SBI. LIC Housing Finance Limited(LICHFL) also introduced an online portal where you can view and download your loan account statement - LICHFL Online. Go to Flat Registration, Interior Planning and Possession - Bangalore Real Estate - Part II. Your Blog has nice information in area of Villas. We are providing best Villas in Bangalore, Luxury Villas in Bangalore if you are interested please visit LGCL, A Girish Puravankara Venture for good Villas, Houses and Townhouses in Bangalore. I am looking for residential apartments in Bangalore in affordable price suggest me. Ozone Group is good option. How much you get from ozone group for these kinds of posts? You definitely understand how to bring an issue to light and make it important. More and more people really need to look at this and understand this side of your story. It’s surprising you aren’t more popular because you certainly have the gift. Hi, Prestige is launching their new project by the name prestige lake ridge at kanakapura road. You can waite till it get launch. Wonderful post. This is very helpful to buy a new flat. Thanks for sharing. Good information…We can’t thank you enough for helping us to complete our dream home! Thank you for taking the time to listen and understand what we wanted to accomplish in building our new home. Your workmanship was done expertly and professionally. We would highly recommend you to anyone looking to build the perfect dream home. We can’t thank you enough!